When the family split into two branches, the castle remained the property of the Swabian branch, the dynastic seniors of the Franconian/Brandenburg branch which later acquired an imperial throne. The castle was completely destroyed after a 10-month siege in 1423 by the imperial cities of Swabia. 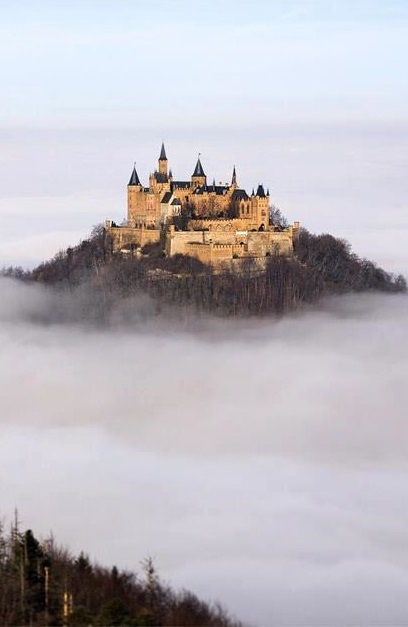 A second, larger and more sturdy castle was constructed from 1454 to 1461 and served as a refuge for the Catholic Swabian Hohenzollerns during wartime, including during the Thirty Years' War. By the end of the 18th century, however, the castle was thought to have lost its strategic importance and gradually fell into disrepair, leading to the demolition of several dilapidated buildings. Today, only the chapel remains from the medieval castle.